The stock market is a fun elusive market. Many people are attracted to the stock market and influenced by the shine of this. While the majority of people are those who do not have any experience. Such people simply listen to what they have heard or trade on the stock market on tips on WhatsApp or social media. Further, most of the times it has been seen that such people do not distinguish the share market and give their dignity. So, should such people not trade in the stock market? IFMC believes that such people can also trade stocks. IFMC has developed a method of stock trading strategy, a strategy that has been given the name of Unidirectional Trade Strategies (UDTS). Moreover, it cannot disrupt the nature of UDTS copyrights, so the UDTS can be trusted completely. UDTS have many features and specializations. Today UDTS is being preferred and used in not only in India but in more than 110 countries around the world. UDTS is a simple and easy-to-understand trading strategy for a common man. While designing UDTS, it has been specially taken care of that the technical analysis tips, trading analysis tools should be used so that whatever UDTS is used, there is no problem. If you use UDTS, then you are avoiding the ill-effects of your thoughts on the market, such as discussions happening in the market, because UDTS only considers the price of any stock as its guide. Very often it happens that there is good news about a stock, but the stock price falls or the bad news is also lost on bad news. Using UDTS, you can avoid discrepancies in the market share price. UDTS can also be used in Intraday Trading, Positional Trading, Fundamental Analysis, Options Commodities etc. The success percentage of UDTS is about half percent. UDTS is a very influential product, prepared after the relentless efforts of Mr. Manish Taneja, senior analyst at IFMC. Mr. Manish Taneja has more than 25 years of experience in the stock market. IFMC Institute is governed by representatives who act as an IFMCians. We strive to build a culture of continuous learning and industry interactions. IFMC enables stock market professionals to expand their knowledge, stay tuned with emerging knowledge, and upgrade skills to climb a career in stock market. 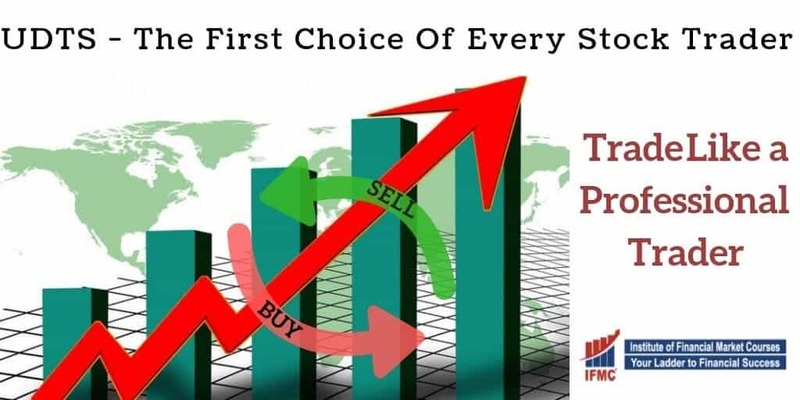 We are committed to producing Stock Market Analyst, Technical Analyst, NSE BSE NCFM NISM certification, Equity Analyst, Research Analyst and other financial market professionals for this upcoming sector. Our team comprises of industry reputed practitioners who bring with them years of experience. They are subject matter experts in imparting stock market training. As well as facilitate lively discussion allowing to share their insight and experience in share market classes. No stock market analyst can challenge IFMCians all over the world. They address complex real-life queries, leading to the creation of innovation. Conversely, preparing students to be thoughtful and effective leaders. Our faculty are not only renowned in the share market trading but also passing their skills through stock market courses.